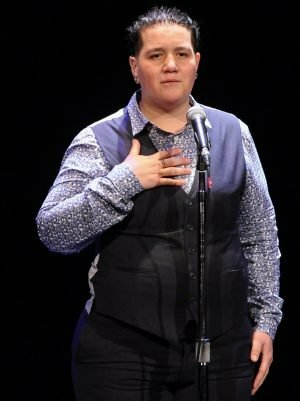 CISA | Pitch your story for Field Notes: An Afternoon of Storytelling! Do you have a story about local food and farming that you would love to share? Pitch it to us! You could be selected to tell it on stage on November 24th. Contact Noah Baustin via email or at 413-665-7100. The deadline for submission is Friday, May 3rd. 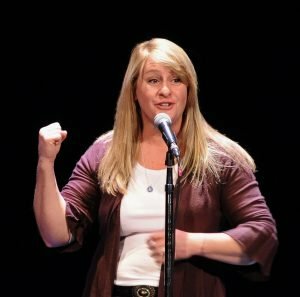 Last November, ten storytellers took the stage at the Academy of Music Theatre to share true stories from their lives on the theme of local food and farming. By popular demand, CISA’s Field Notes: An Afternoon of Storytelling will be back in the fall 2019 and we’re looking for new storytellers! 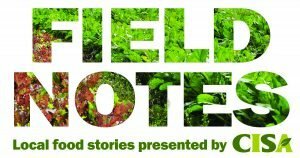 Field Notes shines a light on the many ways that local food and farming has impacted lives – in ways big and small – across western Massachusetts. Last year’s show featured a farmer’s guide to catching would-be pumpkin thieves, a single mother struggling with food insecurity whose life was changed by a farm share, the trials and tribulations of a compost fanatic, and much more. Anyone whose story ties in with growing, cooking, selling, or eating local food will be considered. Whether you’re a farmer, chef, waiter, gardener, food activist, passionate home cook, or anyone else with a story to share about local food or farming, this event is for you. Never been on stage before? That’s okay. All performers will have the opportunity to workshop their stories and learn performance technique with a professional storyteller ahead of the show. Having trouble thinking of a story to pitch? We’re happy to help you think through some ideas. All storytellers will receive a $125 stipend for performing. Storytellers who need to pay for childcare to attend the workshops and performance will receive an additional stipend. If Spanish is a storyteller’s most comfortable language, CISA will provide interpretation services during workshops and the final performance. Information in Spanish here. Stories should be personal narratives from your real-life experiences. Stories should be stories! Stories have characters and a beginning, middle, and end … think memoir, not op-ed. You don’t need to have a perfectly crafted story to pitch us, everyone will have support refining their stories before the show. Stories should be connected to the theme of local food and farming, with a focus on western Massachusetts. Final stories will be around five minutes. Storytellers will perform their stories on stage in front of a large audience, so be prepared to rehearse ahead of time! Selected storytellers will have support developing and workshopping their stories. In the fall, all storytellers will attend three free storytelling workshops. There will be a dress rehearsal before the performance. All storytellers will perform their stories on stage at the Academy of Music on Nov 24. This event will be recorded for CISA’s website and social media. Questions? Contact Noah Baustin via email or at 413-665-7100, ext. 34. Think through your story. It doesn’t need to be polished, but you should be able to explain the story’s arc. Call our pitch line at (413) 453-9035 and leave a voicemail with a two-minute pitch. The deadline for submission is Friday, May 3rd.